Aqua Pools was conceived in the spring of 1974, when we built our first in-ground pool. At the time, we were merely the in-ground pool subdivision of Mr. Macks. Soon, we had several pool installations under our belt, and people started to buzz about our quality. These pools weren’t dug up and slapped in. They were well-designed and immaculately installed. We began to get business by word of mouth throughout Evergreen Park and Orland Park. By fall of ‘78, it became clear that we had enough business to form our own company. Aqua Pools was born. When we first started, we worked out of a home garage. But soon, the chemicals we stored in the garage caused the cars in there to rust and pit. By 1980, we were profitable enough to open our first store, located in Oak Lawn. That’s when we were able to expand our offerings to include other products, like above-ground pools, pool equipment and supplies, pool toys, and of course, pool services like maintenance, openings, and closings. Aqua Pools continued to grow, soon opening a second store in Lockport. That allowed us to add even more offerings to our product lines, including amazingly popular spas and hot tubs. Still, our stores just didn’t have adequate parking space for our growing family of employees and customers, so we acquired property nearby, in Worth. For a while, that gave us the room we needed to continue our strong growth. But by 2004, we took advantage of an opportunity to invest in even more property. The new location was better centralized, which was not just a benefit to our customers, but also made it easier to dispatch our teams to service our customers. Again, more room and a better location opened the door to a more generous line of products. We began to offer the option of fiberglass pools, giving our customers even more choices in terms of features and designs. In 2005, we closed the Lockport store and held a grand opening ceremony for the new second location in Homer Glen. 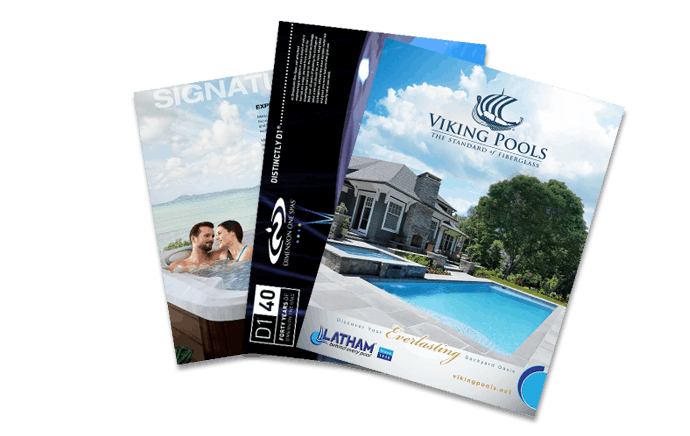 We know this isn’t nearly the end of the story, because our strong, successful partnerships with proven companies like Latham Pools, Hayward, Bioguard, and the Big Green Egg — not to mention our strong bonds with our customers — will bring even more success and expansion in the future. Since our humble beginnings in 1974, we’ve continually strived to be leaders in the pool industry. The Aqua Pools family won the Regional Excellence Award by Latham Pools in 2015, and again in 2016. We don’t get our awards because we’re the biggest or the fastest growing. We earned them by making our customers a part of the Aqua family. There are so many options out there for “getting a pool”. We want to do more. We want to make YOU, along with every new customer, a part of our happy and growing Aqua Pools Family.